Julie Charlesworth, WHNP, has over 30 years of experience in nursing and has been a nurse practitioner since 1993. She joined Lassen Medical Group in 2011 as a part of Vita Dermatology and Laser Institute to provide cosmetic services to the community. Julie is an expert in the use of the Cutera Laser and Cosmetic procedures. In 2005, she was chosen as a trainer by Cutera Laser Company to teach doctors, nurses, nurse practitioners and registered nurses the proper technique of the Cutera laser systems. She has traveled extensively throughout California and into Canada conducting training sessions. 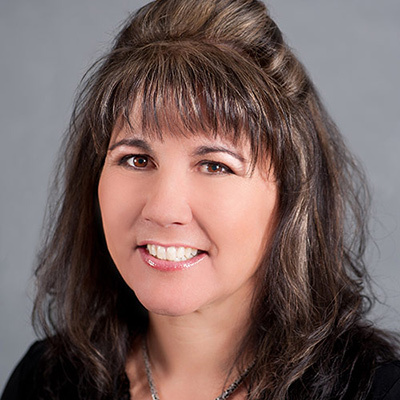 In addition to her experience as a Cutera trainer, Julie has worked the cosmetic esthetic side of dermatology for offices in Redding, Red Bluff and Chico and consequently has a large following of patients in the north valley who know and trust her. Julie completed her nursing education at the University of Southern California and is an affiliate of Northern California Midlevel Practitioners Association. She enjoys spending time with her husband, family, friends and her yellow Lab. Her hobbies include boating, waterskiing and relaxing at Lake Almanor, gardening and swimming at home.